Kalank is no doubt the most awaited film of Bollywood and the film is all set to release on 17th April 2019. The film has a huge star cast having Varun Dhawan, Alia Bhatt, Sonakshi Sinha, Aditya Roy Kapur, Sanjay Dutt, Madhuri Dixit and others in the leading roles. 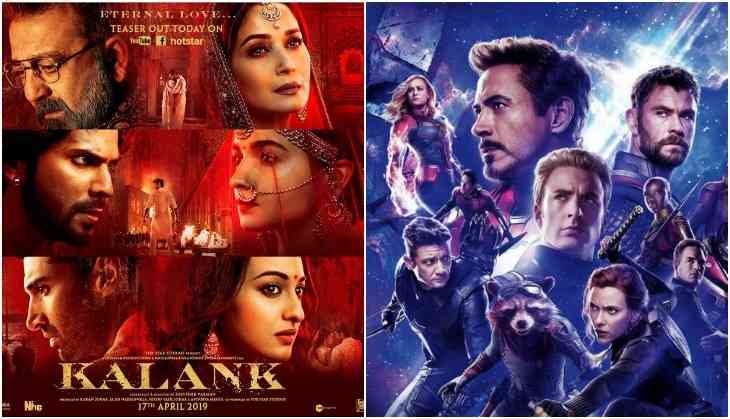 While one hand Bollywood is coming with the biggest venture of the current time, while on the other hand, one big film from Hollywood, Avengers: Endgame is also releasing in the same month. Avengers franchise has a huge market in India and the business of the films in the franchise are proof that the film will easily do a big collection at the box office. So when the film Avengers: Endgame is just 9 days away from Kalank's release then it was asked to Varun Dhawan if he is worried about Kalank lose out on business because of Avengers coming soon. "Our film is coming out nine days before (Avengers), even internationally we are getting a big release. Nine days is a lot for Kalank to be seen and liked by people. These days, if people like a film, it works. So if they like Kalank, it will continue to run. There is enough screen space for both these films to run", Varun Dhawan told in an interview. The interesting thing is that Kalank is not just going to face competition with Avengers: Endgame but the film has another effect also. Actually, a just a few weeks ago Akshay Kumar starrer Kesari released that did amazing box office collection and even in the third week, the film is going good. Another thing is that with Kalank, the trailer of Student Of The Year 2 is also releasing that can also make effect to its business.